Tell us about yourself & how you got into music? I grew up playing piano at a very young age and was enthralled by much of the video game music from the early 90s. It wasn't until I heard the soundtrack from Final Fantasy VII that I realized my true passion in music was composing video game music. I became fascinated with how visual art, design and music can come together to truly influence one's emotions. I formally studied music composition which comprised of a wide range of musical styles/genres, piano, percussion, guitar, and music tech throughout grade school. Eventually I was accepted into Berklee College of Music where I continued my music and production studies in Film Scoring and Music Composition. Funny enough, we were mostly required to use other digital audio production software, but I somehow found a way to keep using FL Studio to complete some of my assignments. FL Studio is immensely intuitive and is the best way anyone can express themselves creatively. It was worth the extra steps for me to still use FL Studio to do some of my college scoring projects. After college I headed out to San Francisco and pursued a career in video game music and audio production. Today, I have over a hundred game and media credits under my name and continue to work in the video game industry as an audio producer. 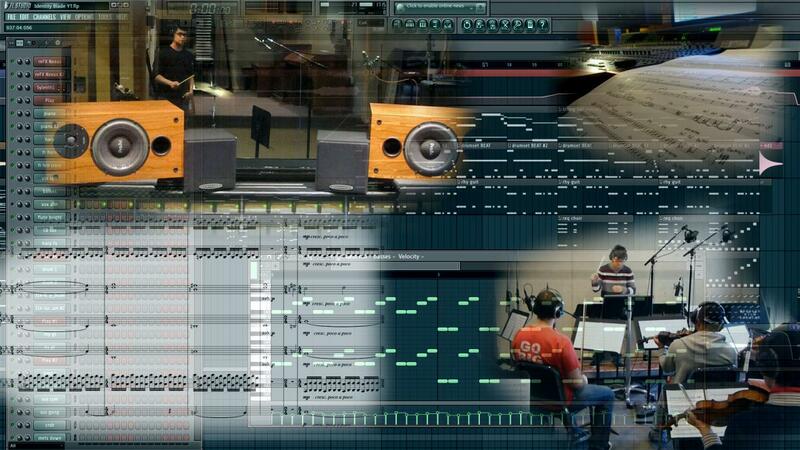 Tell us about your experience using FL Studio as a film and video game composer. At first, I was initially using FL Studio 3 to do simple composition assignments, but after falling in love with the interface and workflow I never looked away. 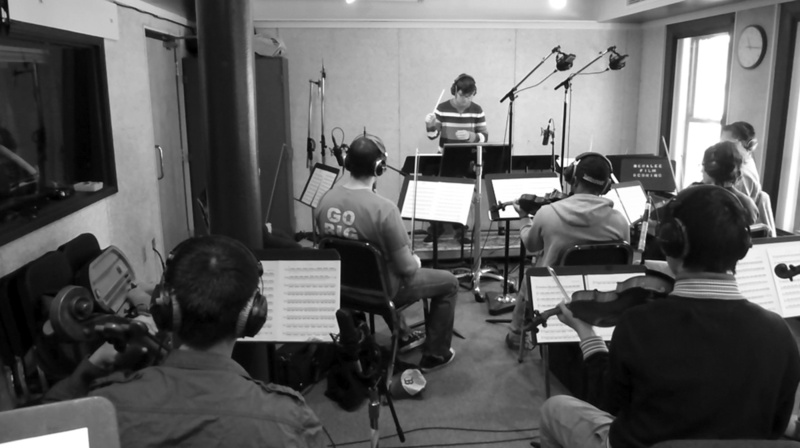 I eventually started composing music for larger ensembles and full orchestra. The interface was more intuitive and it was better at getting my ideas out of my head faster than writing them out on blank sheet music paper with pencil. Sometimes I'd compose a piece in FL Studio and then export the MIDI data out to whatever notation software I was using at the time. It was pretty seamless and became my preferred method of composition, and it still is today. When the Fruity Video player came around, I was able to start doing more film scoring projects and It was quite challenging to work with the older versions of the video player since it lacked some basic film composition features such as SMPTE time and time signature changes. I managed to do a few workarounds until these features were implemented and it turned out just fine in the end. Producing music for games required me to heavily rely on being able to adapt to many video game scenarios and genres. While I was in college, I made a point to myself to learn a wide range of musical styles. This really gave me an edge in breaking into the game and media industry as I was able to adapt to the many different music needs of various video game and media genres. My background in classical composition and film scoring gave me a very good sense of lush and epic orchestral productions. Playing several instruments also helped with becoming well versed in many different styles; Playing guitar and drums helped me understand how to nail a heavy-hitting metal track and being a pianist helped me to understand how to create the perfect mood for those sentimental cinematic moments. FL Studio inherently made it easy for me to fall into learning a lot of electronic styles as well since the stock plugins and synths were extremely versatile and powerful. Many of my industry peers never really saw the full capability of FL Studio until I started making waves with full orchestral cinematic arrangements. It really brought attention to the true versatility and power of FL Studio. I hope that I can continue to bring FL Studio to light in some of the other music production community circles where FL Studio isn't so popular so that other aspiring producers, film and video game composers will consider using FL Studio as one of their main tools. My first entry into FL Studio was right when Fruity Loops 3 came out. It was supplemental to my composition studies and seemed like an easier way to get my composition assignments done instead of dealing with clunky notation software that was out at the time. I fell in love with the old 3xOSC and TS404 synths. The interface was full of color, eye-catching and easy to understand. I instantly fell in love with the seamless workflow between the piano roll and the playlist. There weren’t any other music production programs where I didn't feel it was holding my creativity back due to a lackluster interface or overly complex functions. From Fruity Loops 3 and on, I kept up with all the upgrades all the way to FL Studio 20. FL Studio meant the world to me since it was basically my first love when it came to music production. It was what I had used to produce the tracks that got me into Berklee as well as all of the major projects I did to complete my film scoring and music composition degree. Even after college I continued to produce in FL Studio as I gained enough experience to break into the video game industry. To this day, I produce all my professional game audio and personal projects in FL Studio. I really wouldn't be where I am without it. I really owe it to FL Studio and Image-Line since they've helped me realize my dream to make music for a living. I don't see myself jumping ship anytime soon, FL Studio will always be my number one choice! I've got a pretty simple setup hardware wise for my home studio and game studio: I'm mainly running FL Studio on a powerful custom built PC with Native Instruments Komplete Audio 6 and Avid ElevenRack Interfaces, AKG K712, Beyerdynamic DT-990 reference headphones, Yamaha HS Series Monitors, Akai Professional MPK249 49-Key Controller, Yamaha fully weighted digital piano, Vintage 1972 Fender Stratocaster, a handful of SSDs full of Kontakt (mostly orchestral) libraries, a wide variety of Image-Line and third-party synths, and good old-fashioned manuscript paper and pencil.